I am able to share files between two Ubuntu machine and Windows machine but I have these problems which I can't solve. When I access another Ubuntu Machine from Ubuntu, without defining file and directory permissions on Computer1 I see all files under / on Computer2. Is there any way to stop that visibility? How to set permissions on the folder or directory I want other users to be able to see? How to set a customized list of shared folders or files? Which user and password i use while accessing other Ubuntu machine samba user or system admin user ? is it work on both. can i use it without password ? How i share file without using GUI samba or using terminal . Why Computer2 is not getting shown on my network connection in Computer1 ? (without using connect to server option) why my linux system is not shwoing in this? Finding other system without knowing name or IP over LAN? First of all: if you want to share files, there are several different protocols of interest: Samba (SMB), NFS, FTP, SSH/sFTP/SCP. Samba is the easiest if a Windows computer is involved, but you can use it also between two Ubuntu (and even Mac OS) machines. SSH is a nice thing for Ubuntu, because it's a very powerful tool - e.g. running rsync over SSH is a command method to keep two directories synchronised. But I'd choose SMB because you mention Windows and probably setting up one protocol/server is enough for the beginning. Is it necessary to keep the file permissions of the files transferred? 1. When I share files between two Ubuntu machines via LAN, do I need Samba on both machines? No, not the Samba server. There will be always a server and a client. You can access the shared folders on the server from the client - not the other way around. In other words: the copying progress bar will be always on the client, never on the server. But with two Ubuntu machines, both of them can be client and server at the same time, if you want. The client is shipped with Ubuntu per default, the server is installed automatically when you share a folder for the first time with Nautilus. 2. Without Defining permission on computer 1 I can see all files under / on computer 2. Is their any way to stop that visibility? 3. Which user and password do I have to use while accessing other Ubuntu machine through Samba? Usually it's simple: just use any user and password of the other machine. Only in very special cases the user's normal password differs from his Samba password. You can change the Samba password separately with the command smbpasswd, but you should really have good reasons to use two different passwords. 4. How to share files without GUI using the terminal? 5. Why is the server not showing up in Nautilus / Network on the client? As far as I know, the first time it doesn't show up there. After connecting to it once, you'll find it there. 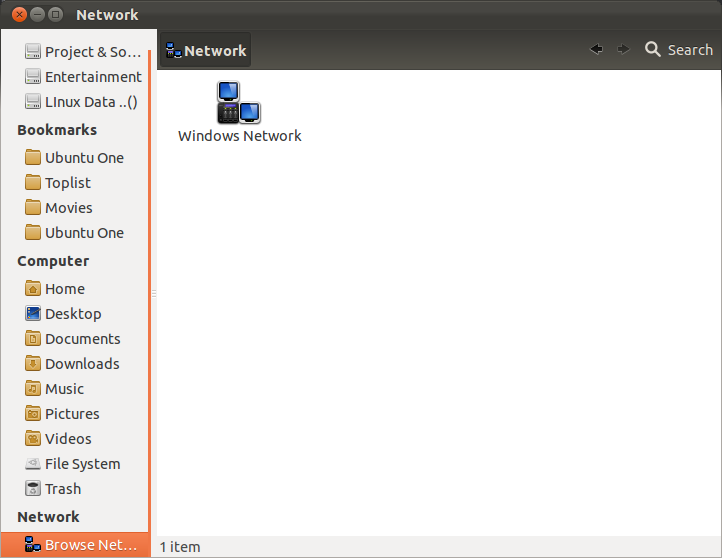 The first time, you will have to click "Windows Network", then "Workgroup" and then you'll see your server - hopefully. At least this was the result of my tests. 6. How to find the other system without knowing name or IP of the other system in LAN? if 192.168.0.0 is your LAN. This will print you all network clients in your LAN (which can be discovered). Sometimes this might help, if other machines don't show up under Network. But of course the root use can read them. Not the answer you're looking for? Browse other questions tagged ssh samba file-sharing or ask your own question. How can I transfer files between two Ubuntu computers on a LAN without installing additional software? Samba - Network transfers from one share to another… local or LAN based? How to share files in local network? Copying the Postgres directory via Samba?